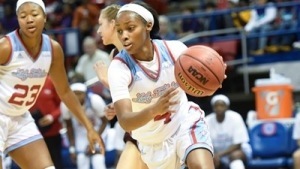 Louisiana Tech senior guard Kierra Anthony enjoyed a week that included breaking the school and conference records for points in a game, with 50, while averaging 35.0 points, 4.5 assists, 3.0 steals and 3.0 rebounds in leading the Lady Techsters to wins over Houston and Memphis. In Tech’s 100-88 come-from-behind overtime win over Houston on Nov. 14, Anthony set the Conference USA (Brittany Carter, Memphis, 49 in 2009) and Louisiana Tech (Sheila Ethridge, 47 in 1991) single game scoring mark when she netted 50 points. Anthony scored 44 of her 50 points after halftime (14 in 3rd quarter, 17 in 4th quarter and 13 in the 5-minute overtime) as the Lady Techsters defeated Houston. Tech trailed by 16 points late in the third quarter before Anthony took over for the win. Anthony followed that up with a 20-point, 5-rebound, 5-assist, 3-steal effort to lead the Lady Techsters to a 66-50 road win at Memphis on Nov. 18. For the week she hit 20-of-21 free throws in the two games and has started the year with four straight games of 20-plus points on her way to an average of 28.0 points per game. Louisiana Tech, 3-1, returns to action on Nov. 20 at Arkansas State. Iowa State wins the Preseason @WomensNIT Championship! Senior guard Bridget Carleton had a banner week, earning MVP honors in leading Iowa State to the program’s first Preseason WNIT Tournament title. In the WNIT championship game on Nov. 18, Carleton scored 15 points, grabbed seven rebounds and added three assists, three blocks and three steals as the Cyclones defeated No. 24 Miami (Fla.), 75-52. Iowa State’s victory on Sunday wrapped up a busy stretch of four games across 10 days, with the Cyclones going 4-0 on that run. On Nov. 13, Carleton’s late-game heroics gave Iowa State the semifinal win over Auburn, 67-64. With just nine seconds remaining Carleton, put Iowa State up 66-64. On the other end, she denied Auburn’s game-tying shot with a monster block to give the Cyclones the win. For the week, Carleton averaged 15.0 points, 10.0 rebounds and 5.5 assists. Iowa State is back in action on Nov. 21 when it takes on Eastern Michigan in Chatham, Ontario, Canada – Carleton’s hometown. We’re ready to go to @paradisejam in the U.S. Virgin Islands! Take a look at the most important things we need on a Thanksgiving basketball trip while we pack! Faced with a season-ending injury suffered by All-America candidate Kitija Laksa last week, fellow senior Laura Ferreira stepped up in a big way, leading South Florida to wins over Bethune-Cookman and Oklahoma. Ferreira exploded offensively with a 34-point night to help South Florida take down Oklahoma 87-70 on Sunday in what was a highly competitive matchup until the fourth quarter. In Ferreira’s career best performance she set new career highs in points, field goals made (13), field goals attempted (20), three-pointers made (8) and three-pointers attempted (11). The eight three-point field goals ranks fourth all-time at South Florida. The final score was the product of a 19-3 run in the fourth quarter, as the Bulls and Oklahoma were tied 50-50 midway through the third quarter. Laksa, the Bulls’ top returning scorer, suffered a torn right ACL in South Florida’s 88-39 romp over Bethune-Cookman on Nov. 15. Against Bethune-Cookman Ferreira picked up the slack by scoring 19 points on 7-of-12 shooting from the field with two rebounds, two assists and two steals. South Florida moved up to No. 17 in the latest Associated Press poll behind Ferreira, who leads the team in scoring, now averaging 20.5 points per game through four contests. Ferreira and the Bulls (4-0) have faced four straight undefeated opponents and will do so again on Thanksgiving Day when South Florida takes on Kentucky in the U.S. Virgin Islands Paradise Jam. The Bulls will then face North Carolina on Nov. 23 and UCLA on Nov. 24. – Was the Bank of Hawaii Classic MVP averaging over 30 ppg this weekend @AarionMcdonald is the no brainer Pac-12 Player of the Week! Redshirt sophomore guard Aari McDonald, who enters the week as the leading scorer in the nation at 29.5 points per game, averaged 32 points, 5.7 rebounds, 3.7 assists, 2.3 assists and 2.7 three-pointers per game on 56 percent shooting from the field over three games last week. The highlight for McDonald came on Nov. 13 in her second career game against Loyola Marymount when she tied the Arizona single-game scoring record with 39 points while breaking both free throw records, going 20-23 from the charity stripe in a losing cause, 66-64. McDonald was named MVP of the Bank of Hawaii Classic after leading Arizona to a pair of victories over Seattle (84-54) and Portland (92-70) by averaging 28.5 points, 4.5 rebounds, 4.5 assists, 2.0 steals and 3.5 three-pointers per game on 64% shooting from the field. She had her second 30-point game of the season on Sunday vs. Portland, scoring 32 points with a career-high five made three-pointers and a career-high seven assists. The 3-1 Wildcats return to action on Nov. 23 with a home game against South Carolina State. 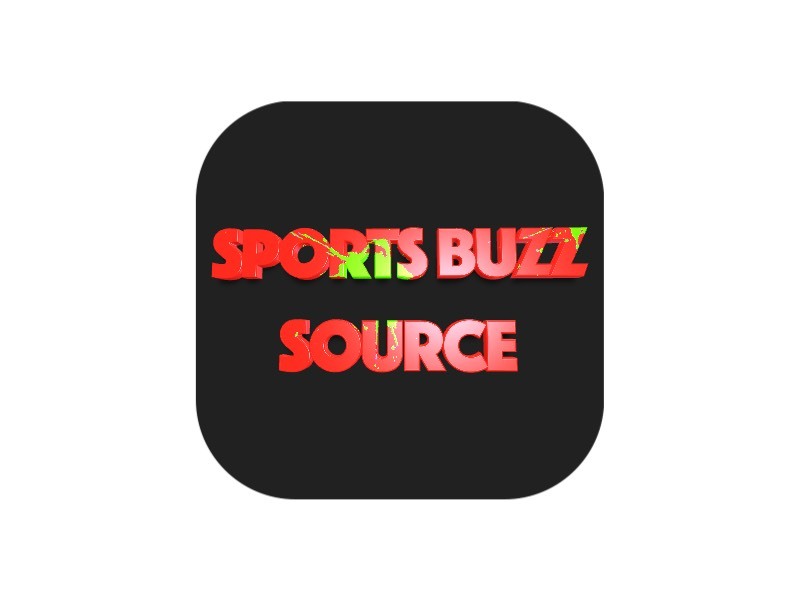 In what is becoming a weekly occurrence, Drake’s Sara Rhine earned Missouri Valley Conference Player of the Week honors for a second straight week in leading the Bulldogs to wins over South Dakota and CSUN. Coming off the bench, Rhine posted her third double-double of the season in the 76-64 victory over South Dakota on Nov. 15 in the team’s home opener with 11 points and 10 rebounds behind 5-of-9 shooting, including knocking down one three-pointer. She just missed another double-double in Sunday’s 73-63 win over CSUN with a season and game-high 24 points and eight rebounds. Rhine went 10-for-20 against the Matadors, including making another three-pointer and added one block, one assist and one steal. The junior forward is averaging 16.3 points, which ranks fourth in the MVC and 10.3 rebounds, which ranks second in the Valley behind a 55.1 shooting clip, which also ranks fourth in the league. Rhine and Drake (4-0) travel to Canada for their next three games for the inaugural Vancouver Showcase in Vancouver, British Columbia. Drake starts the three-day tournament against Rutgers on Thanksgiving Day (Nov. 22) and will play two more games, Nov. 23 and 24, in Vancouver.